The Rajasthan Chief Minister, Smt. Vasundhara Raje, unveiled the ‘Rajasthan Startup Policy – 2015’ while inaugurating the first edition of the ‘Rajasthan Startup Fest’, a national level startup event designed to boost entrepreneurship in the state. 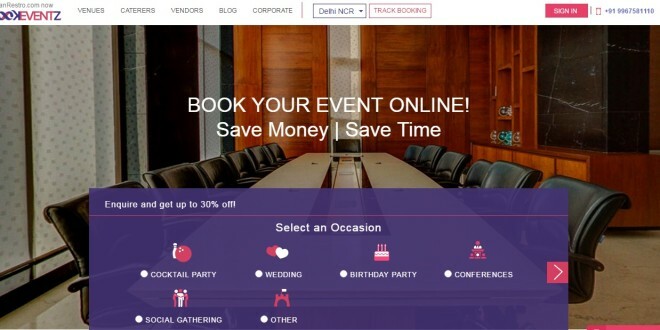 The ‘Rajasthan Startup Fest’ has been organised by the Rajasthan State Industrial Development & Investment Corporation (RIICO); Startup Oasis, a Jaipur based incubation centre set up by RIICO and CIIE; and the Centre for Innovation, Incubation & Entrepreneurship (CIIE) of the Indian Institute of Management (IIM), Ahmedabad. The Rajasthan Startup Policy is designed to galvanize the startup ecosystem and give the required sustenance to the entrepreneurial talent native to the people of the state. Speaking at the inauguration, Shri CS Rajan, Chief Secretary, Government of Rajasthan, said that Jaipur has now overtaken Bangalore in terms of the number of deals that have happened in the last 6 months in angel funding and venture capital funding. “Jaipur is fast becoming the next startup hub of India with excellent social and physical infrastructure, low cost of living, large number of technical and professional colleges and proximity to NCR,” Shri Rajan added. Shri Gajendra Singh, Khimsar, Industries Minister, Rajasthan; Shri Arun Nanda, Chairman, Mahindra Holidays & Resorts India Limited; Shri Kunal Upadhyay, CEO, CIIE, IIM Ahmedabad; Shri Rajesh Agarwal, Co-founder & Managing Director, Micromax; and Shri Nagaraj Prakasam, Partner, Acumen Fund also spoke on the occasion. 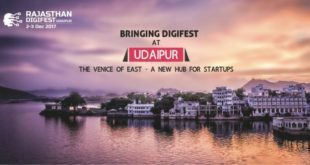 The Rajasthan Startup Fest brings together on one platform more than 500 individuals associated with the startup industry, including the promoters of 100 startups, 20 angel and venture capital investors, 30 mentors and startup coaches and 50 speakers. The Fest comprises multiple tracks of scouting, incubation and acceleration of startup, covering sectors like the Internet, hardware, mobile, social, and disruptive ideas & technologies. Multiple demonstrations, pitches and product launches will be held on both the days of the event interspersed with high energy interactions, talks, panel discussions and mentoring sessions. The topics of panel discussions include Startup Funding, Fostering a Startup & Innovation Ecosystem, and Hustling & Growth Hacking, among others. A special business plan competition has also been organised for students with prize money of up to Rs. 1 lakh. Around 50 high potential product startups are showcasing their products and business models in the Startup Showcase at the event. Next Who is Manoj Bhargava? and Why everyone is talking about him?